This post is written by me on behalf of Tyson Foods, Inc. All opinions are entirely my own. This shop has been compensated by Collective Bias, Inc. and its advertiser. All opinions are mine alone. The start of school is probably the busiest time of the year for our family. I have mixed feelings about the kids going back to school. On one hand, I dread having to get up earlier, get the kids ready, buy all their school supplies, soothe their fears of a new teacher and classroom, deal with homework again, etc. On the other hand, it is great to get back into a routine again. If there is one thing that I have learned from being a parent it is that routines are good! But whether I’m ready for it or not, this time of year is here and it means I need to figure out the best use of my time. Not only are our mornings earlier, busier and crazier, our evenings find us frantic for a couple hours when we have to cram in homework and dinner and baths and soccer. Somehow we also need time for fun and spending family time together. It can all be a little overwhelming. Luckily, over the years I have figured out some time-saving tips to make this time of the year a little less stressful. Here are my 5 top tips to making your mornings a little easier. Brush off your Slow Cooker or invest in an Instant Pot – Making breakfast the night before in your slow cooker will dramatically reduce time spent in the morning cooking a big breakfast for your family. There are recipes for breakfast casseroles, oatmeal, egg bakes, apples and so much more. Plan what to Wear for the Week – On Sunday afternoons I go through my kid’s dressers and find 5 outfits for the week. I lay it all out with everything they need and set them in an empty top drawer for the week. My son will just grab one pile every morning when he gets dressed. I love having them all laid out for when I help my daughter in the morning. It saves a lot of time and hassle of finding things in the morning. Toothpaste in Downstairs Bathroom – This is a huge timesaver for me. I hated running up and down the stairs after breakfast to brush the kids’ teeth. By keeping a tube of toothpaste and two extra toothbrushes downstairs, I save a few minutes and a lot of energy before we head off to the bus. Set a Timer for your Coffee Maker – Let’s face it, I can’t function in the morning without my coffee. When I visit my parents they always have their coffee on a timer for the morning. They have a special coffee pot that will grind and brew coffee all at the same time and it can be preset! While I love my Keurig, it does take a bit of effort and patience for that first cup of coffee and I find this to be easier. Prepare Lunches the Night Before – My kids bring their lunches to school every day. This has been taking the majority of my time in the morning. 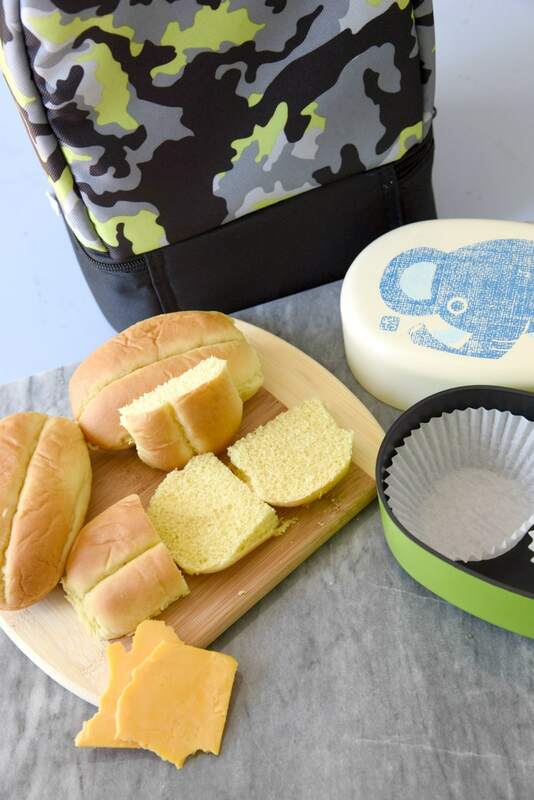 Learning to prepare those lunchboxes ahead of time has been essential. Most mornings I have the majority of the lunch already made. Sometimes I might have to spread some mayo or honey mustard on a sandwich before they take off, but that is it. A shortcut I love is to use leftovers from dinner in my kid’s lunches but repurpose them. 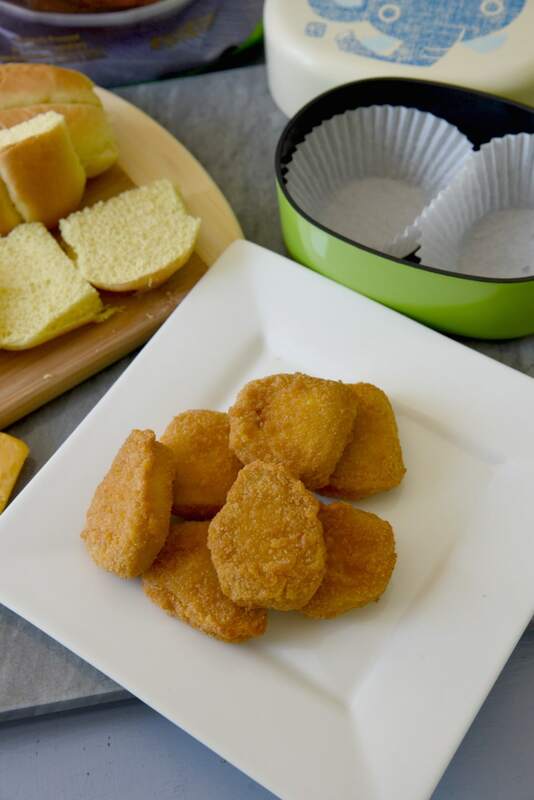 Having staples available in the freezer like Tyson® Chicken Nuggets is a huge help. 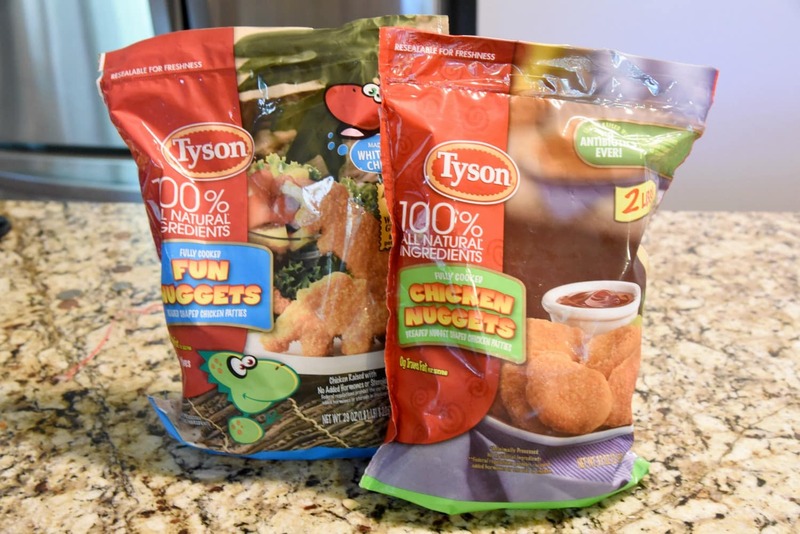 Tyson® Chicken Nuggets are crispy on the outside and juicy on the inside and made with 100% all-natural ingredients, making them a favorite in my house. Last week when shopping at Walmart, my daughter and I picked up a couple of bags knowing that we would need to have them on hand for back to school time. 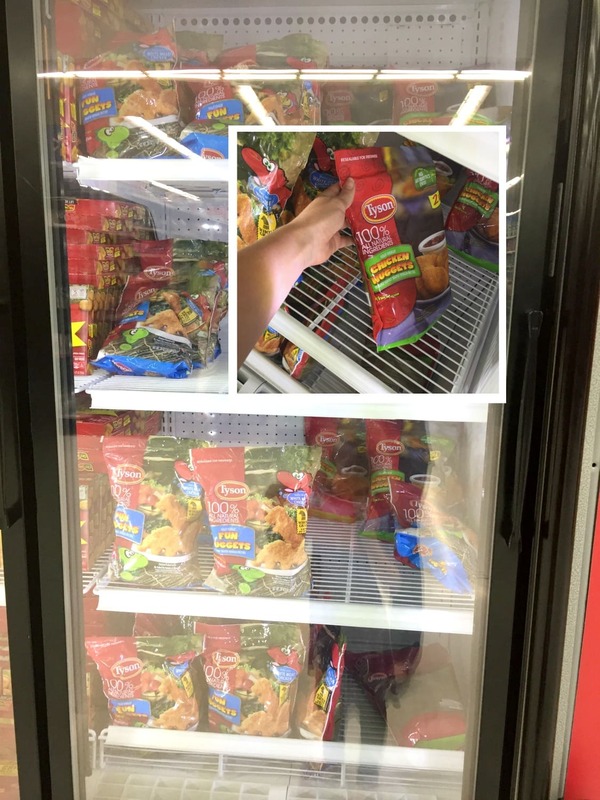 We found them on the end of the freezer aisle. Here is a fun little hack for you. 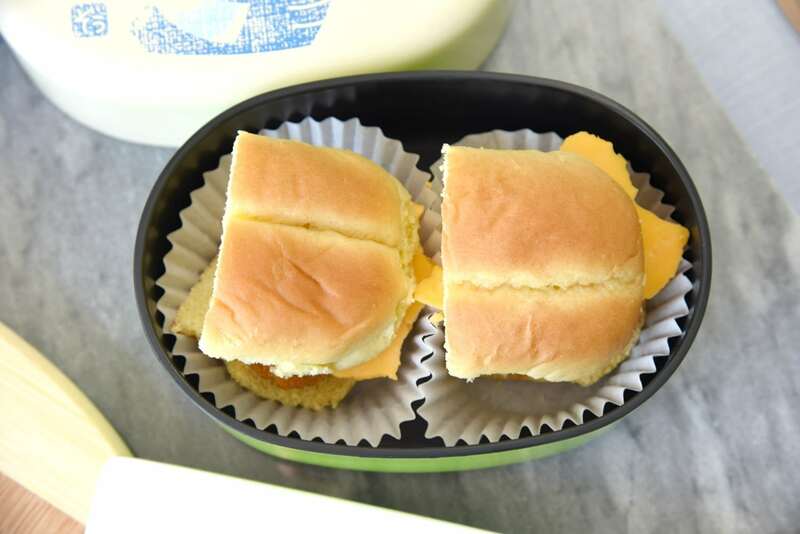 If we have chicken nuggets for dinner one night, I will bake a couple extra for some fun little chicken sandwiches for the kids’ lunch. 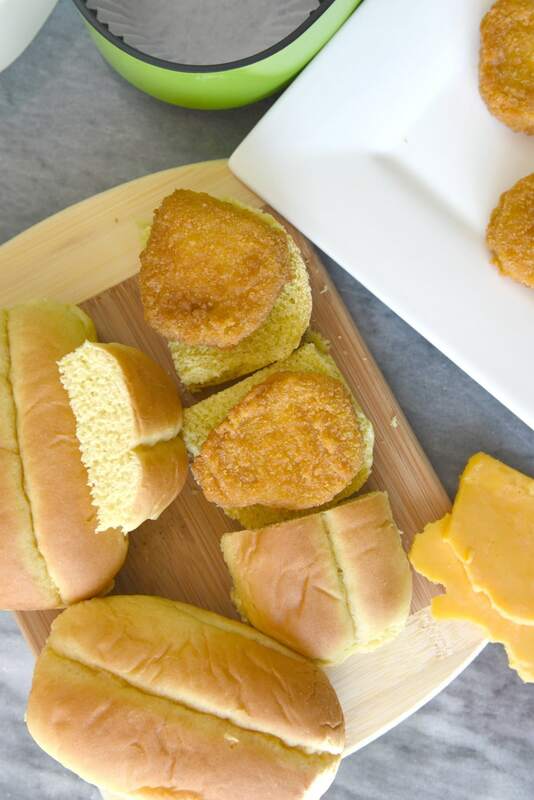 We make little “slider” sandwiches by taking dinner rolls and cutting them in half and slicing them down the middle for a bun. The trick here is to make the sandwiches the night before and add mayo, ketchup or honey mustard in the morning so that the bread doesn’t get soggy (or simply put condiment packets in the lunchbox and have your kids do it themselves). I add cheese to my daughter’s, but my son loves them plain. I put them in their lunch boxes, add a drink, some fruit and a vegetable and we are all set. In the morning I just pull them out of the fridge and they are on their way. Keeping these little guys in the freezer not only helps for quick dinners, but they make time-saving tasty sandwiches for the lunchbox. Back to school time can be a little expensive so I love to save any way I can, and that is why I have to share this great Shopkick offer going on right now! From August first to September 30th you can get a great offer on Shopkick. Earn up to 600 kicks when you buy three (3) participating Tyson® products. 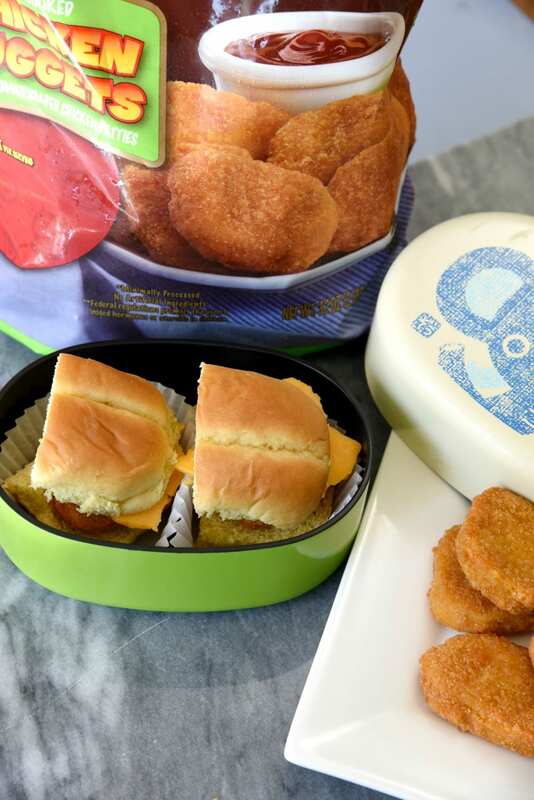 Participating products include Chicken nuggets, chicken strips, Any’tizers® Snacks, Grilled and Ready® items, Hillshire Farm® Lunchmeats, and Jimmy Dean® frozen breakfast items. Click here for more information! What are some of your time-saving tips for busy school mornings?